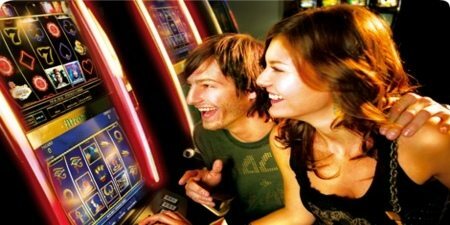 WMS Gaming certainly ranks among the top slots game makers on the globe. Their products are usually unique and offer something more than the competition. This Raging Rhino Slot Review aims to prove this by examining their latest release- the Raging Rhino online slot. Animal-themed and gloriously animated, this slot sports six reels. This number of reels considerably ramps up the fun to be had and the fortune to be gained. Interested yet? Then read the rest of this Raging Rhino Slot Review and find out what your gaming life might be missing. The Raging Rhino online slot as previously stated sports six reels and four rows. Players can additionally form winning combos whenever there are matching symbols on neighbouring reels. This makes it possible to win in 4069 different ways. Another impressive thing is the graphics. These are top-notch and very well drawn. The overall effect is peerless. The main value symbols in keeping with the theme comprise a few wild animals you might not want to make friends with. These include a mongoose, a baboon, a cheetah, an alligator and of course, a rhino with an upthrust horn. The lower value symbols, on the other hand, are the usual playing card values like 9, 10, K, J, Q and A. The wild symbol is represented by a tree behind a magnificent setting sun. It only puts in an appearance on reels two to five. The scatter is a huge sparkling diamond. It triggers the main bonuses and keeps them rolling in. Free Spins- the free spins feature in this online slot is activated when players land three and up scatters. This grants them varied numbers of free spins according to the number of scatters gained. More, as the reels are six, players can easily see the free spins gained skyrocket. This Raging Rhino Slot Review will aim to illustrate this. Landing three diamond scatters will gain the player 8 spins. Four and five scatters translate to 15 and 20 spins respectively. Six scatters on the other hand awards 50 free spins. Should the wild icon help form a winning combo, the amount gained will enjoy a 2x or 3x multiplier. As well, the free spins feature can be triggered within the round, by again landing the required number of scatters. This Raging Rhino Slot review has looked over the online slot in question and found it to be an irresistible bundle of fun, joy and excitement. Offering gorgeous graphics and animation, good audio and above-average bonuses, this online slot certainly is worth raging over and falling in love with.